Kendal will become the first town in the UK to have its very own branded gift card. The gift card market is annually worth an estimated £5 billion with the bulk of that money limited to a few multinational companies. Kendal BID aims to shift that balance and encourage people to shop locally. 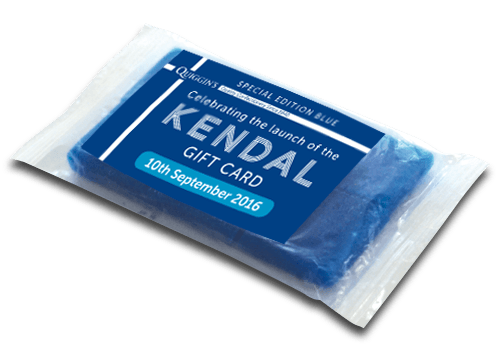 We worked closely with Kendal BID to create the gift card and promotional material including packaging, leaflet, poster and Kendal mint cake label. Kendal BID will package the mint cake, leaflet and card as part of their PR campaign.